Merry Christmas, folks! Hope everyone has a great holiday! Merry Christmas to all of my friends and family at CBn. Merry Christmas everyone! Enjoy and have fun! Merry Christmas to all. Here's to an exciting year ahead. Look who it is! Merry Christmas my good man! Indeed.. Here's wishing all my CBN peeps a very Merry Christmas and here's to a very exciting 2015 as we all countdown with excitement to the release of SPECTRE! 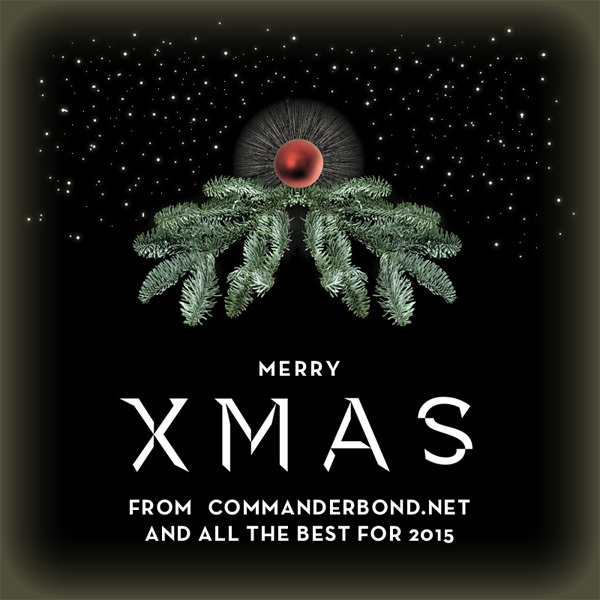 Happy holidays and a merry 2015, filled with legal Spectre-news! Merry Christmas! I hope Santa was nice to you all! Now to get merrily sloshed. Merry Christmas everyone. Enjoy yourselves, it's going to be a big year ahead. Merry Christmas. My last time celebrating this holiday. Hope you've all had a nice one. Weren't funny then so probably won't be now. A bit late, but still before the New Year. Happy Holidays all!